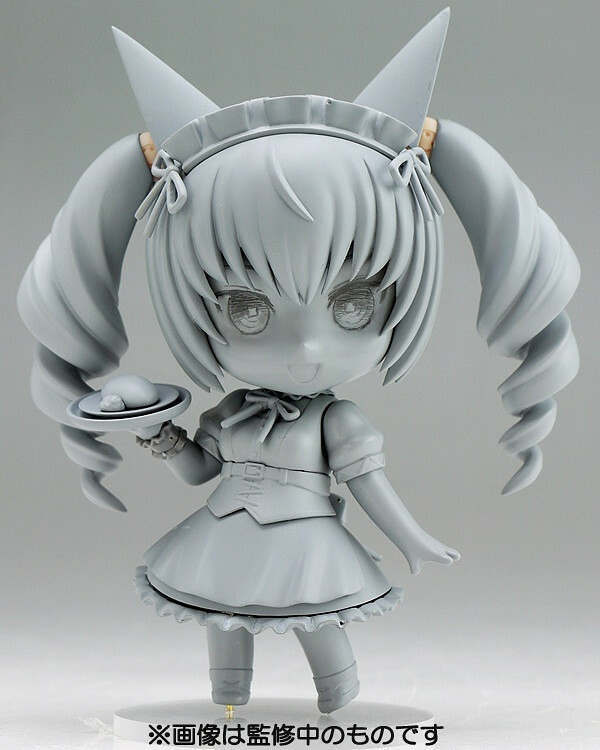 Prototype of Nendoroid Feyris Nyan Nyan is Spotted! She looks very adorable in that maid outfit while … serving me a plate of omelette? Yes, please! Now I cannot wait to see how her colored prototype will look like – which should be sooner rather than later. How about you, Nendonesian? This entry was posted in News and tagged feyris, nendoroid, steins gate. KYAAAAAAA~ MY WAIT IS OVER, NOW, WHERE THE HELL IS OKARIIIIINNNN???!!!! I hope Phat! will do the same for Etna and Flonne ! Anyway, insta-preorder when she’ll be available.